Helene's Papercrafting Helene's Papercrafting: Sweet Pressed Cookie Stamps by Stampin' Up! Sweet Pressed Cookie Stamps by Stampin' Up! I love these cookie stamps! Whether you want to make holiday cookies or using the presses for another project, the cookie presses are great to use. 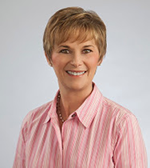 In this video Sara Douglas, from Stampin' Up!, shows us how easy and fun they are to use. 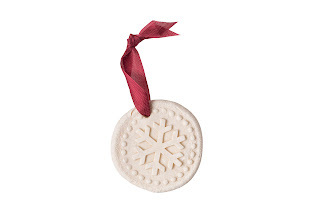 Then, checkout below for how to make a snowflake ornament using the cookie press! I remember as a young child the fun of making things using salt dough. Here's fun project to make with the kids (or by yourself!) using salt dough with the Holiday Sweet Pressed cookie stamps. Combine the salt and flour, and then pour in the water gradually, stopping when it has become dough-like and not too sticky. There should be no residue left on your fingers when you touch it. Knead it on a floured surface for a few minutes to make it soft, workable, and stretchy. Take a small ball of dough and press it with the Sweet Pressed Cookie Stamp. Poke a straw through the center, near the top, so that ribbon can be threaded through later. Cut it out and lay it on a non-stick cookie sheet. Cook on VERY low heat (around 202 degrees F) for up to 3 hours. If the ornament is over 1 cm thick, it will probably need to be turned over during cooking.